Over time, you may find that carpet in your home starts to look dull. However, replacing your carpet entirely can be costly and not realistic. For those that are looking for a solution without replacing their carpet, carpet dyeing is a great option. Agape Carpet Color Restoration is here to talk about carpet dyeing and how it can benefit you. Carpet dyeing isn’t a service that many companies offer. Since this is a specialty service, you want to make sure you select the right company for the job. When you are choosing to have carpet dyed, you can have only one room done, your whole house or even just a small spot on your carpet. The color matching technology that Agape Carpet Color Restoration achieves is so precise that you can’t distinguish a difference between the original carpet and the small spot you had dyed in order to repair it! The dye is applied and then worked into the carpet using our specialty equipment. While many people mistakenly believe that carpet dyeing is a temporary fix, this isn’t the case. When you have your carpet dyed, it will stand the tests of time and is a permanent form of carpet repair. Many people that are selling their house have the carpet dyed to give life back to the carpet and repair areas that have been sun faded. Hotels are also interested in dyeing the carpets to save money rather than replacing the carpet in the entire building. This is obviously a great option for landlords. If you are interested in changing the color of your carpet completely, it is possible only when you select a color that is at least as dark or even darker than the original carpet. 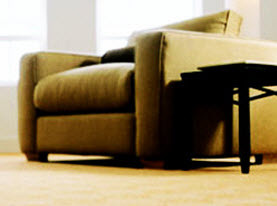 There are some carpets that can’t be dyed, including stain-resistant carpet and thick carpet. Changing the color of a carpet after installation can be of benefit in a number of ways. For one, it can reduce a homeowner’s decorating costs. Most people like to change the color of the walls or curtains, or get new furniture every now and again. What if the carpet no longer matches? Or perhaps when the carpet was installed it was bright and vibrant; and now years later, it has faded from the sun and general wear, and appears dull. In another scenario, suppose you bought a new house with pale blue carpet but you would really prefer a mid brown shade that matches your furnishes? Instead of tearing it out and replacing it, consider carpet color changing options. As long as you choose a darker shade, we can transform your carpet into a totally different color! Sometimes your carpet may have some spots and stains that are so stubborn that they can’t be removed with carpet cleaning. This is what makes carpet dyeing so amazing. 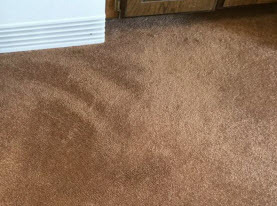 These bleach spots and stains are erased, and your carpet has new life. 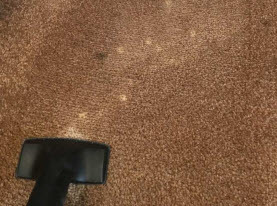 Any time you have a spot on your carpet that is not removable by cleaning, spot dyeing is your best option. 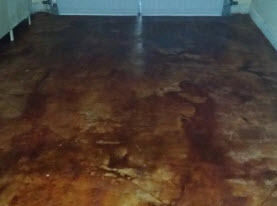 No longer do you have to worry about that old stain reappearing after the carpet dries after attempting to clean it. Spot dyeing is a valuable form of carpet repair indeed. When you choose to have your carpet dyed rather than replacing it, you will see tremendous cost savings. For an average sized house of 2,000 square feet, homeowners can expect to see savings anywhere between 50%-80% when compared to completely replacing the carpet! If your carpet is still in good condition and you don’t want to replace it, but need to give the carpet a little pick-me-up or wish to change the color; carpet dyeing is a great money saving option. The color experts at Agape Carpet Color Restoration have the ability to give your carpet the facelift it needs with our carpet dye services. Call us today!